Where do you need Paint Repairs? Car paint repair is a major part of automotive smash repairs. Scuffs and scratches are the most common types of paint damage but fortunately, they can also be some of the easiest smash repairs. The cost of car paint repair depends on the size and location of the car paint damage. In some cases, polishing and spot repair are all you need to get your vehicle looking new again. Larger damage, especially when there's rust or long deep scratches, can be more expensive because entire panels and parts need to be removed and repainted or resprayed. The colour and type of paint on your car makes a big difference to the smash repair process. 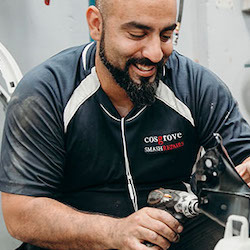 Standard colours and standard paints, are common enough to source that a panel beater can simply paint the localised area of the car where the damage has occurred. This small scale smash repair and painting is known as a S.M.A.R.T repairs. If your car colour is metallic or for example a three-layer pearl then more coats of paint are required. Additional paint repair may also be needed to match the paint repaired panel to the surrounding panels, this is called paint blending. If paint blending is required it can mean a simple small scratch repair can require a large amount of work and cost in order to return the car back to its perfect factory condition. DingGo smash repair experts are here to help you save money and time figuring what’s the best paint repair for you. Our trusted network of panel beaters assess what type of painting is required and where possible will try and reducing the overall cost by using S.M.A.R.T repairs to do a localised paint repair so you can avoid a total panel paint respray. Our panel beaters are artists when it comes to matching your cars paint colours. Looking for Paint Repair? 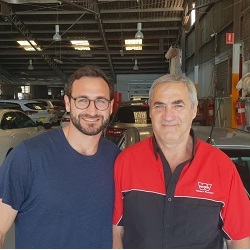 Use the quick quote service on DingGo.com.au to get obligation free quotes from our network of highly reviewed panel beaters. How much do car paint repairs cost? Car paint repairs cost are dependent on the depth of the damage, the colour of the paint and the type of paint. Three-layer pearls and metallic paints in particular, add to the cost of the paint. In many cases paint blending on surrounding panels is also required so the smash repairs are not noticeable. The extent of damage and where its located on the car will determine the paint repair cost. As a guide paint repair cost can be between $250 to $500 for each damaged panel and each surrounding panel that also requires paint blending. 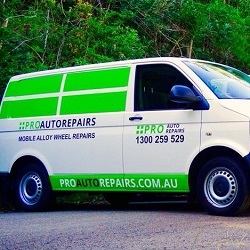 Why not let us find you the best price for your paint repairs? Use the quick quote service on DingGo.com.au to get obligation free quotes from our network of highly reviewed panel beaters. What is paint blending and why is that important? Paint blending is required for most car paint repairs so the colour of the repaired panel matches all the other panels on the car. If you just paint the damaged area then the different the new paint colour compared to the older paint on the other car panels may be noticeable. Some colours and paint types require larger amounts of blending to give the car a perfect a factory finish. Without blending the smash repaired area will stick out like a new tile in the bathroom. What is a paint touch up and why is it much cheaper than full paint repair? As the name suggests a touch up is when the smash repairer literally touches up the damaged area only. Protective finishing clear coats are usually not applied either. With very small scratch repairs this process is usually good enough. However, with the majority of car painting a touch-up job is not recommended as it will leave a dark noticeable mark over the damaged area that will likely fade in the harsh Australian sun within 6 to 12 months. What is a S.M.A.R.T car repair? S.M.A.R.T repairs stand for Small to Medium Area Repair Technologies repair. They are meant for damages that can be repaired efficiently without needing conventional panel beating methods. In the case of scratch repairs, this usually means isolating the painting and blending to a small repair area in order to save time and costs.